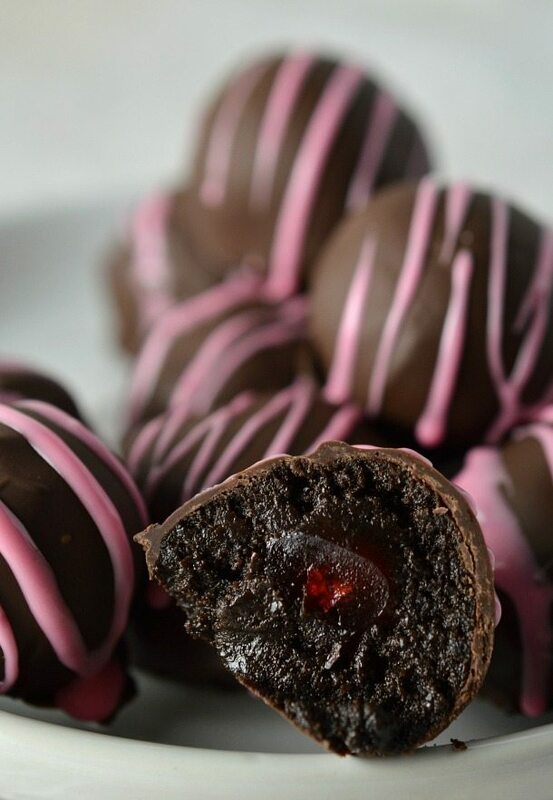 It doesn’t get much better than this Cherry Stuffed Oreo Truffles Recipe! 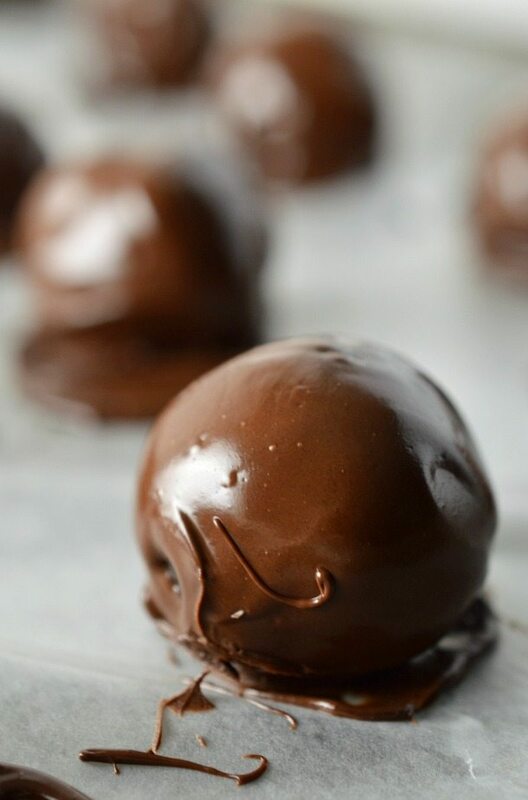 This no-bake holiday dessert has the flavors of chocolate covered cherries but are super easy to make! 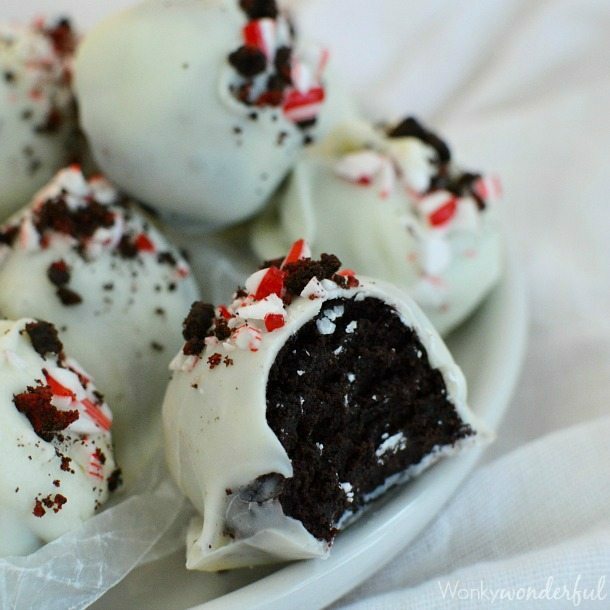 I’m really loving Oreo Cookie Balls this holiday season. 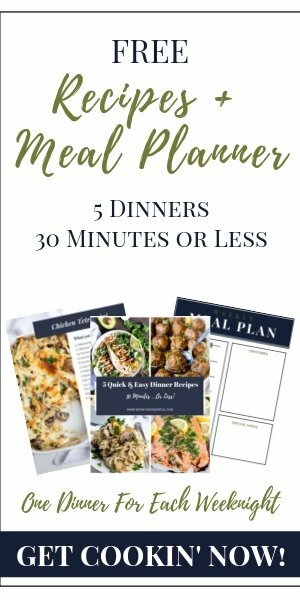 They are unbelievably delicious AND so simple to prepare. Plus they make fantastic treats to bring to parties or give as gifts. 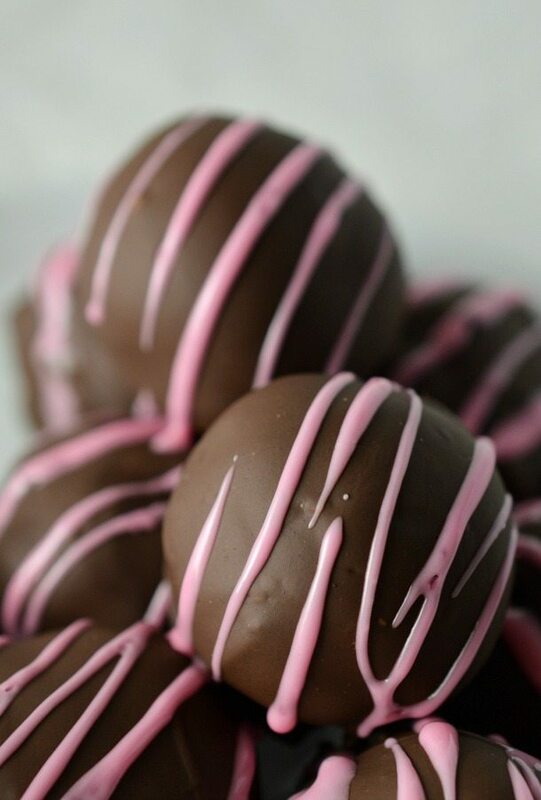 And you know that I just love anything that even resembles a chocolate covered cherry! This Oreo Truffles Recipe is great for a last minute dessert. Just puree the Oreo Cookies with cream cheese. 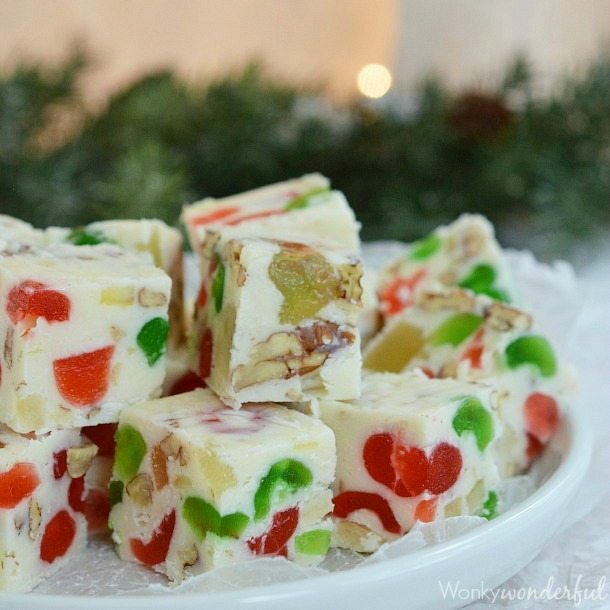 Stuff with candied cherries. Dip in chocolate. Drizzle the glaze. In processor, puree Oreos into fine crumbs. 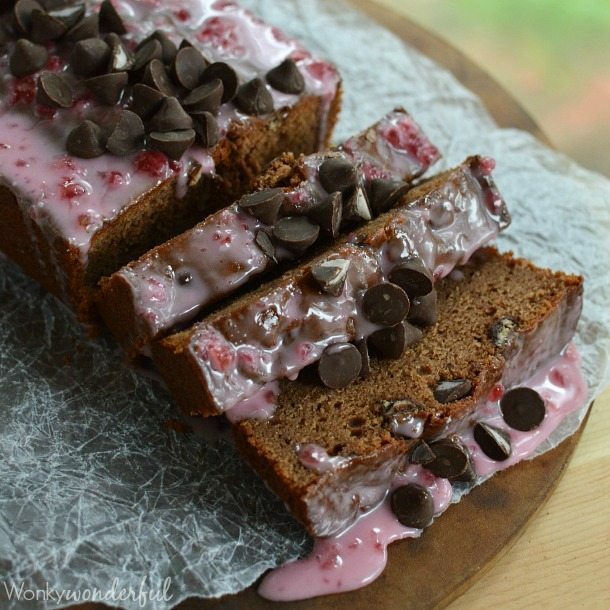 Add cream cheese and cherry extract. Puree until incorporated. Grab a walnut shell sized amount of Oreo mixture and spread into a flat circle in the palm of your hand. Place 1 cherry in the middle and form mixture into a ball around the cherry. Transfer to baking sheet lined with wax paper. (will make approximately 14-15 balls) Refrigerate for 10-15 minutes. In medium bowl, microwave (on high) 1/2 cup chocolate morsels for 1 minute and 15 seconds. Stop to stir every 30 seconds. 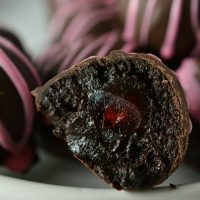 Add the remaining 1/2 cup of chocolate morsels and vigorously stir until chocolate is completely smooth. Coat Oreo Balls with melted chocolate the return to wax paper. Mix glaze ingredients together until smooth. 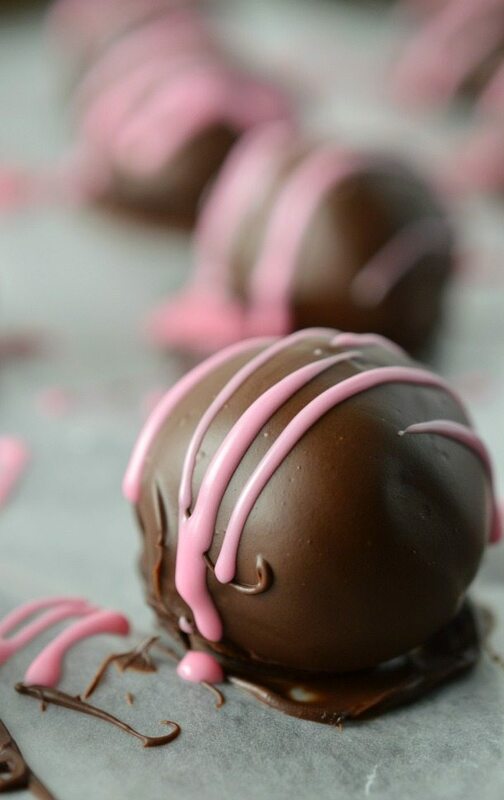 Drizzle over truffles and refrigerate 5 more minutes before serving. Makes 14-15 truffles, depending on size. More Holiday Treats . . .